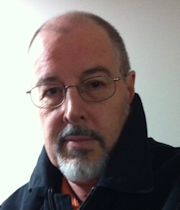 For the record: On August 26, Don Wales successfully set a new land speed record for a steam powered car. 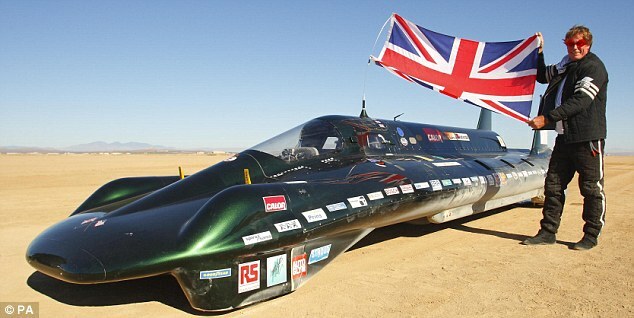 The British car set the world record for a measured kilometer, achieving an average speed over two runs of 148.308 mph. 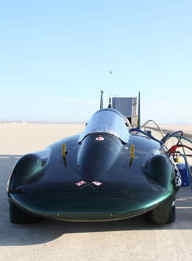 A pair of regulation runs across a California dessert have resulted in a new official world land speed record for a steam powered vehicle! The British Speed car exceeded 150mph at one point and averaged a shade under 140mph. In official terms, the record is now 139.843mph. According to the Daily Mail there will be further attempts to try and best the unofficial record of 145mph. Definitely another feather in the cap of British engineering, which also holds the overall world land speed record. And interesting to note the numerous speed-family connections mentioned in the Daily Mail article. Once again there are folk from England sweating in the American desert in pursuit of speed. But this is not the world land speed record for cars with jet engines (as claimed and owned by the British Thrust II). This is the speed record for steam-powered cars. Known as the British Steam Car Challenge, the project is in California right now and is likely to break the record any day now. That means going over 145mph while powered by hot water (heated by propane). The vehicle specs are amazing. The Inspire, as it is called, stretches 25 feet in length, weighs 3 tons, and has a steam turbine that generates 360 hp. Theoretical top speed of the car is 170mph. Now that might not sound very fast. There are several production sports cars capable of exceeding 200 mph with internal combustion engines. But an IC engine is inherently dirtier than a steam engine, which can be fired by much cleaner fuels. The problem with developing a fast steam powered car is size. It is possible to build steam engines that generate 3,000 hp but they are huge. Indeed, the only place you are likely to find them is in steam locomotives. The fastest British steam locomotive, arguably the fastest ever (argued in immense detail here) was the Mallard. It was rated around 3,000 hp and at times it achieved speeds in excess of 120 mph. But it weighed over 100 tons! The Inspire is one eighth of the power with one thirtieth of the weight! That is an amazing feat of engineering.